The name change brings together 30 brands under one banner, with an emphasis on patient-centered care and easy access to healthcare resources. Starting today, nearly 50 hospitals and 1,200 care venues will fall under the AdventHealth brand. The name-change is part of a system-wide effort to become more consumer-centric, with an emphasis on patient convenience and ease of access. 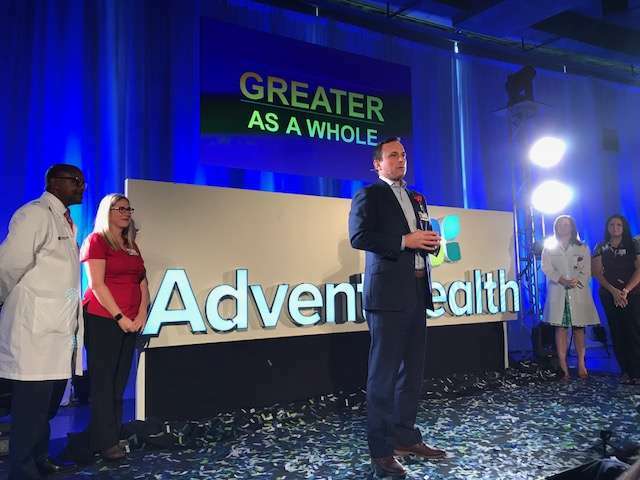 AdventHealth brand launch accompanied by “feel whole” ad campaign. Adventist Health System on Wednesday changed its name to AdventHealth. The Altamonte Springs, Florida-based health system announced the name change in August, and said its nearly 50 hospitals and more than 1,200 care venues in 10 states adopt the AdventHealth name and logo beginning Jan. 2. “This is a historic day for our organization, and I can’t be more excited about the direction we are heading,” Terry Shaw, president/CEO for AdventHealth, said in a media release. “Our facilities and team members are galvanized around one name, brand and mission, and in doing this, we will deliver on our promise of wholeness and make the health journey easier for consumers,” Shaw said. In addition to the name change, AdventHealth launched a consumer-centric website with a user-friendly interface for system searches, appointment scheduling, and self-service payment options. The new AdventHealth signage is being put on hospitals and other facilities, and a national advertising campaign featuring the “feel whole” message is also underway.